This is very exciting guys and looks epic. After enjoying the game by millions of Gamers for years . The game has finally its chance to become an inspiration for a movie. And I can tell you it’s not just a movie but an epic one. you will see this in the trailer. 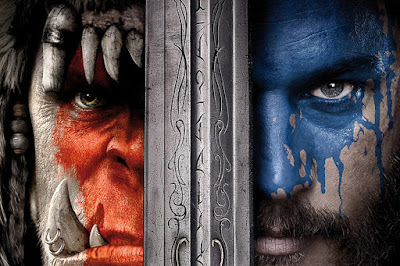 The Movie called Warcraft : The Beginning Directed by Duncan Jones (Moon, Source Code) and written by Charles Leavitt and Jones, the film starring Travis Fimmel, Paula Patton, Ben Foster, Dominic Cooper, Toby Kebbell, Ben Schnetzer, Rob Kazinsky and Daniel Wu is a Legendary Pictures, Blizzard Entertainment and Atlas Entertainment production.